How to use Spreaker Studio’s new trimming feature, on iOS devices. Super simple to use, after recording you can easily trim or shorten the length of your audio clip by tapping on “Edit” and accessing the trimming mode. The tool lets you cut any extras at the beginning, like someone talking before their cue, or at the end, like if you start to trail off into something way off topic! Simply play the recording until the desired start or end point is reached and click to confirm. -Listener Comment - My name is Ricky from the 5ive (Five) Star Wrestling Show and I am a HUGE fan of the Spreaker Live Show and it has helped tremendously! I also am a huge fan of Alex Axum and read his articles "Top Reasons to Podcast Live" and "The Biggest Problem Podcasters Have (And How to Fix it)" in the podcast business journal. Very insightful and straightforward. My listener comment: This is a question for both of you. Are there any aspects (timing, concepts, equipment) in the radio world that podcasters are not utilizing to help their show be more entertaining, engaging or structured? Sorry for the book! Thank you for your consideration! Let’s discuss the technology and opportunity of Dynamic Ad Insertion in Podcasts.. Where are we today? How it will evolve over the next few years? What is the vision for the destination we would all like to see? 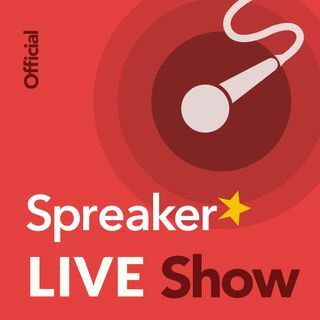 We announced audio clip editing in Spreaker Studio for iOS this week, that is an exciting new ability to bring to our mobile version of our studio app. That was a great and educational conversation between Rob and Francesco. I hope for the next time, Francesco will have a much more isolating microphone. However, the content is great. "Top Story Tonight" sounds wonderful! Agree 100% Andrew. We do ours live on Facebook and Spreaker every Saturday morning. But podcasts can be video content as well. It really is any media file distributed via RSS. That's how I see it. It becomes a podcast after it hits the feed. Hello :wave:🏾 Rob and Alex. Thank you for joining the LIVE Stream of the show today!